Oral care is about more than making your cats’ smiles sparkle—it’s an important component of their overall health. 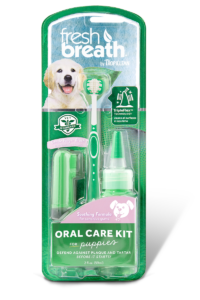 In fact, 70% of cats begin to show signs of oral disease by age 3. With Fresh Breath Oral care Water Additive for Cats, cats can benefit from daily plaque and tartar defense, simply by drinking from their water bowl. 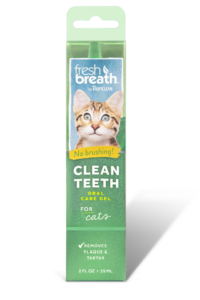 Easy to use for both you and your cat—no brushing required! Purified Water, Glycerin, Potassium Sorbate, Citric Acid, Cetylpyridinium Chloride, Chlorophyll, Green Tea Leaf Extract. 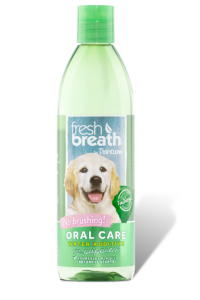 More from TropiClean to keep your pet fresh! Didn't HelpI followed the instructions to the letter, and I am always wary of new products. This is a perfect example as to why. 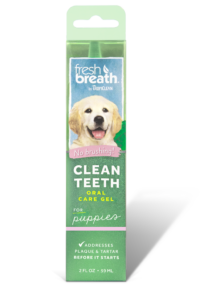 I tried this over the weekend and woke up one morning to a cat that was so full of mucus that it was dripping from her mouth. She wouldn't eat because there was so much of it in her mouth. She has a condition, so I took her to the vet instead of blaming this. Then I tried it again weeks later and got the same result, so I do not recommend. 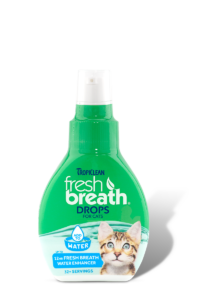 If you have a cat with a chronic upper respiratory condition, DO NOT try this product. We are so sorry to hear about your cat's previous medical condition. It is possible that your cat may also have a hypersensitivity to one of the ingredients in the product and that along with the preexisting condition may have heightened the symptoms of this occurrence. We completely agree with your assessment and would add that if a dog or cat has any preexisting medical condition, that we recommend reviewing the ingredient list with a veterinarian before use. We wish you and your cat the very best and thank you for taking the time to share your experience with us. Great productGreat product. No problem with administration. Would like coupons! !